What would it take for green labs to go island-wide? I think the concept of university-wide Green Labs programs are relatively common, more schools could use them, but many progressive schools have developed programs or are in the midst of developing one. Harvard has one, Cornell has one, the University of Colorado at Boulder has one, the University of Chicago is developing one, the University of Wisconsin has one, I could go on. City, state or nation-wide programs on the other hand are less common and virtually non-existent. Why is this? If you think of a university like a small city or town, the framework should be the same, just extrapolated to wider audience. So why have these programs not escaped the confines campus? As an interesting thought experiment, I want to take a look at what an island wide green labs program could look like. 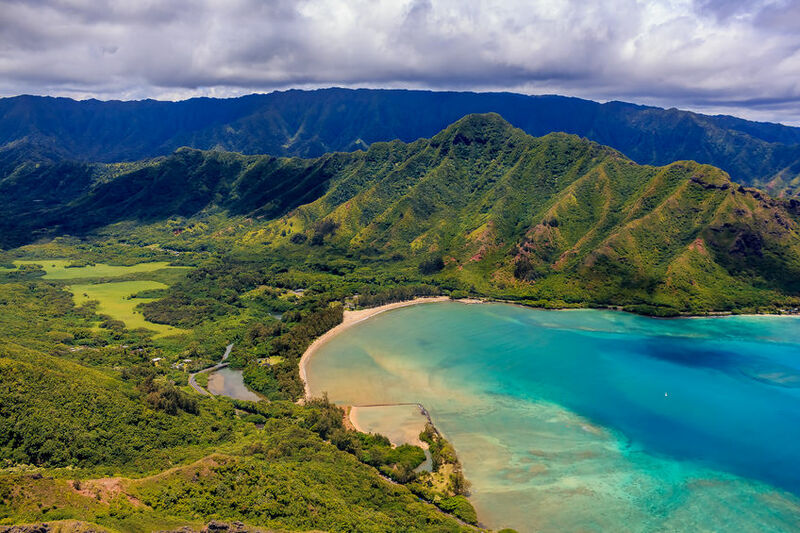 Oahu is geographically 597 square miles and home to approximately 2,500,000 square feet of laboratories. These labs are diverse in nature with applications ranging from engineering to biotechnology to health sciences. Such a variety of labs should call for individualized programs for each type of lab, with focused approaches to waste reduction, energy management and so-forth based on that industry’s specific attributes. But with most large projects, money is hard to come by and budgetary constraints will have a severe affect on the scope and comprehensiveness of this program. Now because this is a “thought experiment” and may not come to fruition lets take a look at what this theoretical program or programs could look like with different investment levels. Lets start off with an investment of $1,000 dollars. Even with such a small investment technology and the internet would still enable us to reach a large audience. Taking a que from University Green Labs Programs, we would create a website to act as an aggregation of information on best practices in the lab. Think Harvard’s Green Lab’s Progam Website but tailored to Oahu. It would be sleek, there would be tips, guides and whole sections dedicated to waste management, energy efficiency and occupant behavior. We could also host a forum on this site where local labs could exchange success stories and hopefully foster collaboration between themselves. Unfortunately, I can’t see the scope of this program expanding much further without more money to pay a person to maintain the program. Now with a larger investment of lets says $25,000 the program could have some more teeth. In addition to creating the afore mentioned website, using this investment we could launch a Green Labs Pilot program. The pilot would focus on a small sample of labs and using green champions at those labs try to alter behavior. It could be easy as having this person walk around the lab reminding staff to close the sash when they are done working in the fume hoods Or collecting EPS foam and aggregating it for pick up. It’s little things, like those, that at the end of the day could make a big difference. As far as monitoring goes, we could use rudimentary metrics like electricity bills to see if our program is helping to reduce electricity costs and energy at the pilot sites compared to the labs not in the pilot group. For our last scenario, lets imagine the state or some private benefactor donates $1million dollars to the program. This is a “money is not a problem” scenario (well it would be for Oahu, other states this may be considered a small investment). With this type of investment we could set up each lab with their own energy monitoring system and tailor energy reduction practices to each type of lab. In addition to the website, forum and pilot group we could also set up a fund to help sponsor retrofits to labs that qualify for systems such as constant air volume fund hoods or more efficient freezers. The program could then be administered by a paid green labs coordinator acting in an advisory role to the green champions at the labs. I think a program like this would be mutually beneficially. Considering labs are extremely energy intensive and Oahu imports nearly 80% of its energy in the form of oil, working on energy reduction not only benefits the lab but also the island community. Now since this program is not contained in a University setting, I think the biggest obstacle we would face is the kind of free flow of information I have been talking about. In a university (even thought sometimes it may not feel that way) you are all working towards the same goal within one organizational body. In this island-wide scenario, you have may have different labs, in the same industry that are potentially competing against each other and therefore may not want to share their energy saving secrets. There are other issues we cannot even begin to prepare for that would come up as well. Finding solutions to the free flow of information and other issues would be challenging but doable. The broad framework for a green labs program has been laid, but the harder part is finding them money to kick start a program like this. If you are a researcher who has started a green labs program outside of a University, we want to hear from you! Share your story in the comments below.